The holidays are coming and I’m always looking for new recipes and stress-free ways to get the meal on the table. One of my favorite methods of cooking vegetables is to roast them in the oven. It’s an easy way to make a healthy side dish. Whether you are roasting hearty root vegetables or delicate asparagus, with a little TLC, roasting in the oven will help your veggies retain their beautiful color and burst with fresh flavor. To help you get organized and build a healthy holiday menu, I’ll be posting a few roasted vegetable recipes this week. Each will feature a different vegetable, dressed up with a healthy, flavorful twist. They will all be prepared following the same four steps below. All you need to do is jazz them up to make each one unique. Creativity is the key. Roasted broccoli is the first masterpiece. WANT TO JAZZ IT UP? A handful of chopped fresh herbs – tarragon, basil, parsley or fresh rosemary are delish! I roast these vegetables often. They make a delicious side dish for any meal. For your holiday table, since these can all be successfully roasted at the same temperature, you can have two sides cooking in the same oven(cooking times will vary). We all know how oven space is a commodity at the holidays. Just pick a couple different “jazz it up” ideas from above and you have two different healthy sides for your guests. There are other vegetables that work well in the oven, these are just some examples. Preheat the oven to 425 degrees. 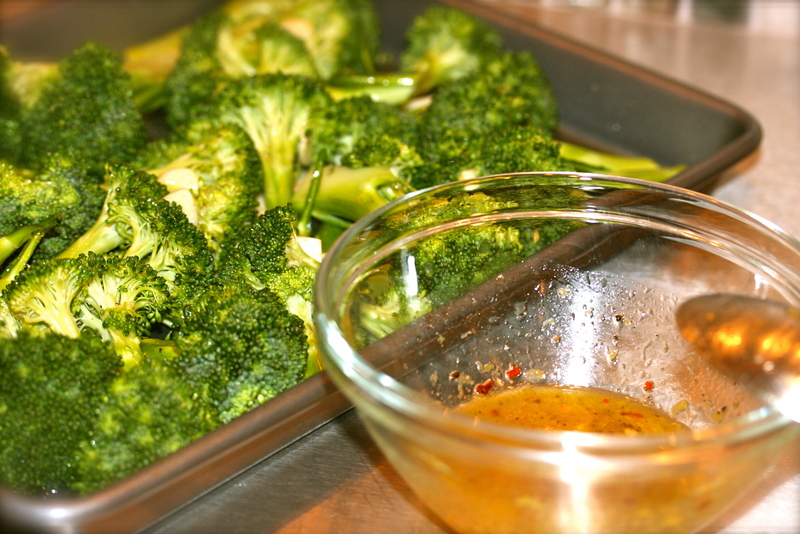 Put the broccoli on a sheet pan, drizzle with 2 tbsp olive oil and sprinkle with salt and pepper. Tuck the garlic slices into the florets. Roast in the oven for about 15-20 minutes, until bright green and a little brown on the edges. 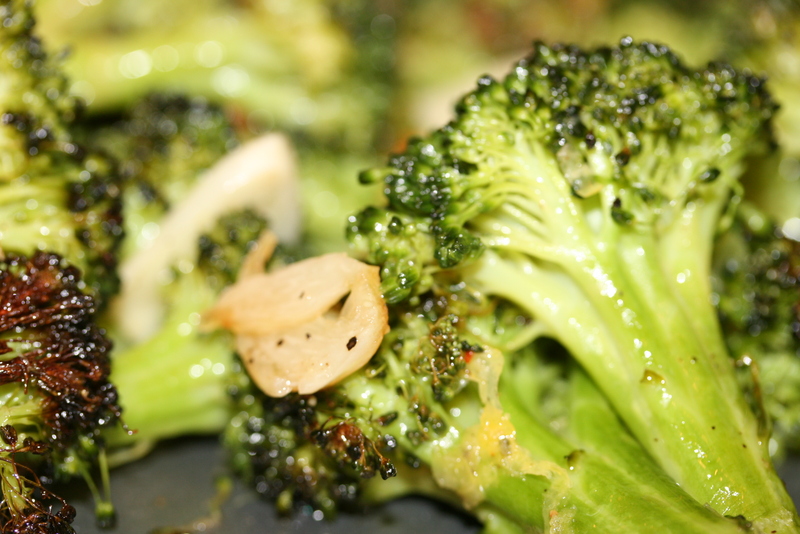 While the broccoli is in the oven, whisk together the lemon zest and juice in a small bowl, the remaining tbsp of olive oil, pinch of red pepper flakes, salt and pepper. When ready, transfer the hot broccoli to a bowl and pour the dressing over. Toss together and serve immediately. Make sure you get all those roasted garlic slices into the bowl – they’re so delicious.